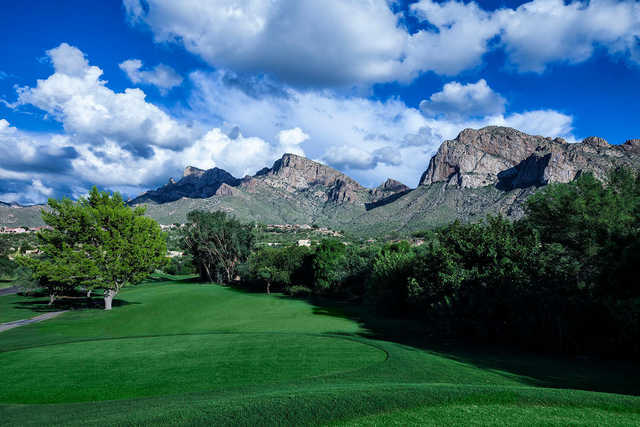 Encircling the El Conquistador resort is one of the best kept golf secrets in Tucson - the 9-hole Pusch X9 Course (previously known as Pusch Ridge Course). It's layout makes full use of the ravines and ridges as well as indigenous cactus and trees to challenge any player. 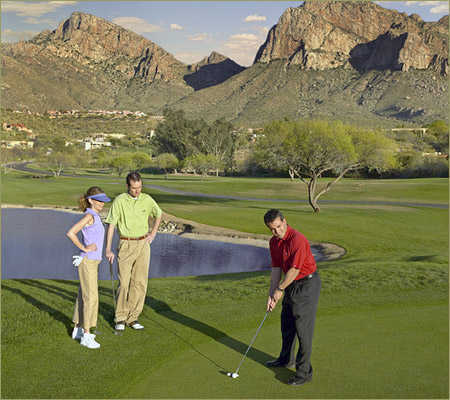 Encircling the El Conquistador resort is one of the best kept golf secrets in Tucson - the 9-hole Pusch X9 Course. It is by no means an executive course. The golfer plays from elevated tees to sloping fairways and more often than not, back up to an elevated green. The layout makes full use of the ravines and ridges as well as indigenous cactus and trees to challenge any player.